Pammy Blogs Beauty: Mother's Day Gift Guide: Luxury Beauty Treats for Mom! Mother's Day Gift Guide: Luxury Beauty Treats for Mom! Mother's Day is coming up very soon. Do you need some ideas? Mother's Day is a great opportunity to pamper the Moms in your life! As a Mom and a daughter, I know that many times Moms put their needs last and don't take the time that they should to give themselves a little pampering. So, here are some ideas of decadent and pampering luxury beauty gifts that will tempt your recipient to indulge! So, without further ado, lets jump right in! Rituals | Foaming Shower Gel Sensation in Zensation: Rituals is a luxury spa line that I am currently obsessed with! This luxurious shower gel turns into a decadent foam when it comes in contact with water. This shower gel creates a thick and luxurious lather to get you clean while drenching you in an amazing Eastern-inspired scent. The Soap & Paper Factory | Hand Cream in Gardenia: For me, nothing beats the scent of Gardenia! My Mom agrees. So, I always think of her when I smell Gardenias. She would love this hand cream and so do I. :) Plus, I am so into the natural and beautifully packaged Soap & Paper Factory products! This shea butter formula hand cream will leave your skin velvety smooth! Belli Skincare | Fresh Start Pre-Treatment Scrub and Anti-Blemish Facial Wash: How about some luxury skincare gifts for the Mom-to-Be and the new Mom that is nursing? Belli Skincare is a fabulous line of products that is pregnancy and nursing-safe! I trusted these products throughout both of my pregnancies and nursing experiences. In fact, I love the products so much that these two products in particular are still in my regular skincare rotation! The Anti-Blemish Facial Wash is my hands-down favorite cleanser. Period! I seriously can't rave about these enough. They keep my skin clear and I love using them. Besides the cleanser and scrub, Belli has a full line of face and body products. Lavanila | The Healthy Body Butter in Fresh Vanilla Lemon: A decadent and freshly scented body butter is always a treat for Mom! I really enjoy the light and fresh scent of lemon in the warmer weather. The blend of lemon, fruits, and vanilla is so nice for Spring and Summer! Plus, the Shea and Cocoa Butter formula is so moisturizing. Miracle Skin Transformer | Miracle Balm: I am a huge fan of the Miracle Skin Transformer brand (have LOVED everything I have tried). This new Miracle Balm does it all: a multi-purpose balm to moisturize, hydrate, and soothe skin. You can apply it anywhere: even your face and lips! I use it everywhere from my lips to my cuticles. It is great for soothing skin irritations, too. Josie Maran | Argan Creamy Oil Cleansing Treatment + Cloth: Get ready for a spa-like treat here! This is such a unique and luxurious way to cleanse your skin! This Creamy Oil Cleansing Treatment is an Argan-based cleansing balm plus a double sided cleansing cloth. One side of the cloth (muslin side) gives exfoliation and the other has soft microfibers. This feels like a facial every time I wash my face with this! It leaves my skin super soft! Molton Brown | Body Wash: Turn your Mom's usual shower routine into a spa-like experience with one of these spicy body washes! I have tried both the Pink Peppered scent and the Orange & Bergamot scent. I really like the unique combination of freshness and spice with these scents. They certainly have a unisex appeal, so watch out-your husband might swipe these, too! 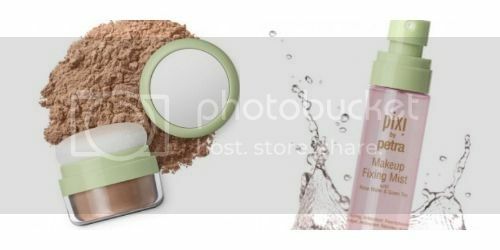 Pixi Beauty | Makeup Fixing Mist and Quick Fix Bronzer: Pixi Beauty is one of my go-to makeup brands. Do you know what makes it super convenient? It is available right at Target! I just love that you can get "higher end" makeup items when you are doing your routine Target shopping! :) Pixi has some great new items in their Spring lineup that make for great gifts! I have been quite obsessed with their new Makeup Fixing Mist! This time of year (when it is warmer and my skin is more oily), my makeup needs just a little bit of "help" staying put. I simply mist this on after I am finished with my makeup and voila! My makeup stays fresh longer and my skin gets a little hydration boost, too! :) Another Spring and Summer staple for me? Bronzer! Pixi's new Quick Fix Bronzer is a matte loose powder bronzer in an adorable little mirrored jar container with a puff lid (just like their quick fix powder). Jojoba Company | 100% Natural Jojoba Oil and Intense Overnight Renewal Cream: I have a long-term love affair with Jojoba oil. My use of Jojoba oil in my beauty routine actually pre-dates my beauty blogging days! For many years, pure Jojoba oil was my makeup remover. Jojoba is a bit of a different type of oil, I believe it is actually a liquid wax of some sort. Either way, it does not make your skin oily when you use it. You just smooth it onto your skin! It feels suprisinly non-greasy. It absorbs right in leaving you feeling soft and nourished and with a slight dewy sheen. I absolutely love the Jojoba Company's 100% Natural Jojoba Oil's elegant glass jar packaging. Plus, the pump makes it super easy to use! Every woman needs an all-purpose oil in their beauty routine. This one, with its luxe packaging makes for a nice gift! The Jojoba Company's Intense Overnight Renewal cream is worth checking out, too! It contains antioxidants like Vitamin E, Co Q10, and green tea plus argan oil, wild yam, marine collagen, hyaluronic acid, and Vit A. This rich cream is fabulous for dry skin! While it is a bit heavy for me to use right now, it will be perfect for Winter.